The State Mining Corporation (STAMICO) is a wholly state-owned organisation established in 1972 under the Public Corporation Act, Cap. 257 as per the State Mining Corporation (Establishment) Order, 1972 and as amended on March, 2015. STAMICO’s responsibilities are to oversee Government interests in strategic largescale mines, invest in the mining sector through mineral prospecting, development and operate mines, mineral trading, value addition, providing services in management of mines, drilling, consultancy support to small scale mining and other related business. vii. Perform any other duties as assigned by Supervisor. Benjamin Mkapa hospital is established as a Corporate Body to provide qualityspecialized health services, which are not offered in the country, thus reducing Government burden resulting from referring patients abroad. The Hospital is aimed to be a centre of excellence for medical services in terms of diagnosis and treatment specifically for urology, nuclear medicine, and Telemedicine and Endoscopic services. Furthermore, the Institute will provide training and carry out research in various areas of public health concern. Upon completion, the Hospital will have 300 beds capacity and serve both in and out patients from within and outside the country. The Hospital, when fully operational, will provide a broad spectrum of services including emergency medicine, Intensive Care Unit (ICU), imaging (Magnetic Resonance Imaging (MRI), Computerized Tomography Scan (CT Scan), Mammography, X-ray, Ultrasound, Gamma Camera, angiography, Positron Emission Tomography (PET/CT), Single Photon Emission Computerized Tomography (SPECT/CT), Cath lab, Gamma Knife, Laboratory services (Biochemistry, Virology, Microbiology) Non Invasive Surgical Services and radiotherapy services. v. Giving health education to patients and relatives. Bachelor of Science in Nursing from a recognized university or Institution, and registered by the Tanzania Nurses and Midwifery Council. Computer knowledge will be an added advantage. (xiv) Perform any other Duties and Responsibilities related to his/her work as assigned by his/her superior. 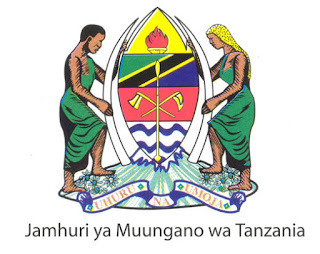 the Medical Council of Tanganyika. Possession of a PhD will be an added advantage. The Mwalimu Nyerere Memorial Academy is initially a product of Kivukoni College. In February, 1958 the National Conference of TANU which was held in Tabora passed a Resolution to establish a college for adults in the lines of Ruskin College in Oxford. The College was to be a tool for spreading understanding of social, political and economic problems facing underdeveloped countries such as Tanganyika among people who were likely to become leaders in newly independent country but who did not have qualifications necessary to enter educational institutions. The Adult College was formally established on 29th July, 1961 as a private company under CompaniesOrdinance (Cap 212). x. Perform any other duties as assigned by Supervisor. PhD either in Public Administration, Human Resource, Economics, Sociology or Management with at least eight (8) years working experience in a Senior Position. Attractive remuneration package in accordance with Institute’s salary scale. PhD Degree either in Human Resource, Management, Public Administration or Business Administration. Be a person with at least eight years (8) of outstanding academic and administrative experience and capability in the area of technical education and training. Master’s Degree either in Counselling and Guidance, Education, Sociology or Social Welfare from recognized higher learning Institutions with at least ten (10) years working experience. vi. Perform any other duties as assigned by Supervisor. PhD either in Public Administration, Management of Social Development, Sociology or Human Resources Management with at least three years’ experience in similar position and must have published at least two peer reviewed papers. 3.5 at Bachelor level from a recognized Institution. Master`s Degree and Bachelor degree in History with G.P.A of 3.8 at Master`s level and 3.5 at Bachelor level from a recognized Institution. Master`s Degree and Bachelor degree in Library and Information with G.P.A of 3.8 at Master`s level and 3.5 at Bachelor level from a recognized Institution. (vi)Perform any other duties as assigned by Supervisor. Master`s Degree and Bachelor degree in Accountancy with G.P.A of 3.8 at Master`s level and 3.5 at Bachelor level from a recognized Institution. level and 3.5 at Bachelor level from a recognized Institution. Master`s Degree and Bachelor degree in Librarianship and Information with G.P.A of 3.8 at Master`s level and 3.5 at Bachelor level from a recognized Institution. v. Perform any other duties as assigned by Supervisor. Master’s Degree in statistics or its equivalent from a recognized Institution. Essential skills: Competence in the use of statistical packages and report writing. Bachelor’s Degree or Advanced Diploma either in Counselling and Guidance, Education, Sociology or Social Welfare from recognized higher learning Institutions. (vi) Perform any other duties as assigned by Supervisor. Master`s Degree and Bachelor Degree in Information Communication Technology with G.P.A of 3.8 at Master`s level and 3.5 at Bachelor level from a recognized Institution. Over the years MUCHS made significant achievements in terms of increased student enrollment and development of several new academic programmes. The Parliament Act No. 9 of 1991 that established MUCHS was repealed in 2005 through the universities Act No. 7 of 2005. Subsequently, in 2007 Article 1 of the Charter of Incorporation established MUHAS in line with the Universities Act No. 7 of 2005. The objectives of the University are the advancement of knowledge, diffusion and extension of technology and learning, the provision of higher education and research and, so far as is consistent with those objectives, the nurturing of the intellectual, aesthetic, social and moral growth of the students at the University. MUHAS has two campuses; Muhimbili Campus and Mloganzila Campus. The College of Business Education is established by Act of Parliament No. 31 of 1965. CBE is a training Government Executive Agency operating ‘semi’ autonomously and commercially in providing education in Accountancy, Procurement & Supplies Management and other business related disciplines. Master’s Degree in Procurement and Supplies Management with a GPA of 4.0 or average of B+, and should have a minimum GPA of 3.8 at undergraduate level. Holder of Master's degree of GPA not less than 3.5 at Bachelor’s degree and 3.8 at Master’s degree level and for unclassified degrees, overall average of not less than B grade from a recognized institution. Holder of Bachelor degree (NTA Level 8) with Upper Second of GPA not less than 3.5, and for unclassified degrees, overall average of B+ grade or above in the relevant field of study from a recognized institution. vii. Perform any other duties assigned by supervisor. 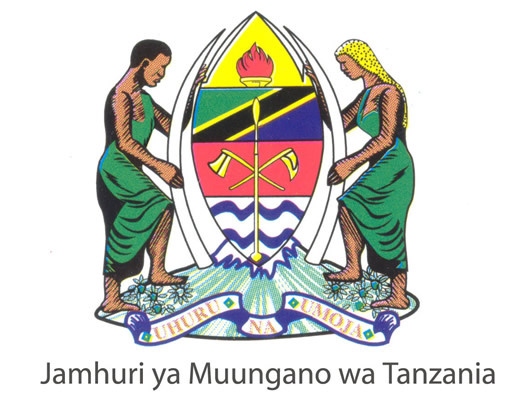 The Geological Survey of Tanzania (GST) was established as a Government Executive Agency in October 2005 under The Executive Agency Act No. 30, [CAP 245] of 1997, establishment order, 2005, Government notice no: 418 published on 9/12/2005. Minister on matters pertaining to efficient and effective performance and developments of GST. Full Technician Certificate (FTC) or Ordinary Diploma in Mineral Laboratory from a recognized institution.